The MLB All-Star game was Tuesday night, and the American League defeated the National League, 6-3. However, that was only a minor part of the night, because we got to witness this gem by MLB commissioner, Rob Manfred, who will now be categorized under the “dirty old man” label. And for good reason. 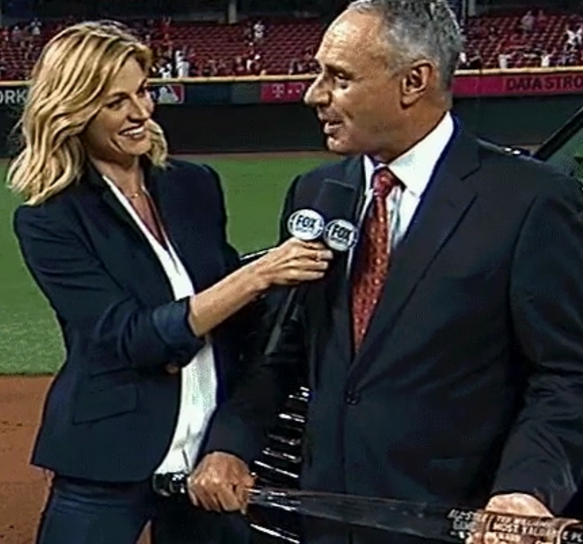 Mike Trout was then given that bat for all eternity as the All-Star Game’s MVP.